THIS REPORT IS BEING UPDATED AND WILL BE DELIVERED DURING THE FIRST HALF OF 2019. 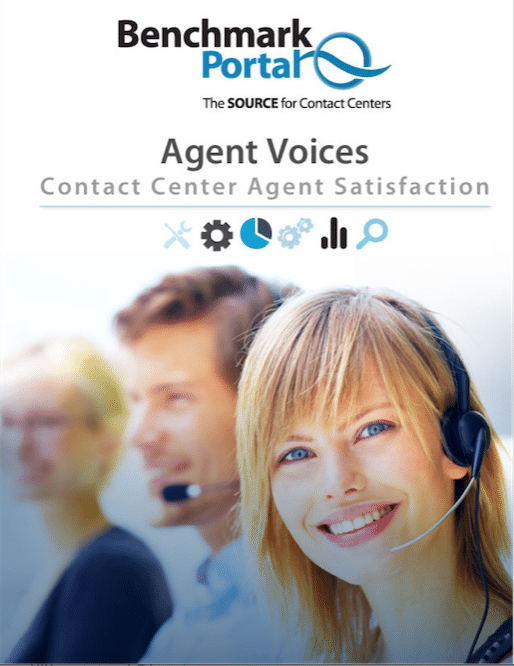 Agent Voices II is BenchmarkPortal’s second in-depth investigation into agent satisfaction. Based on thousands of agent surveys, this ground-breaking study covers 18 topic categories with a total of 76 questions. Readers will gain valuable insights that will help them be better managers and contact center leaders, and will also provide a basis for comparing their agent morale to industry averages. The report includes thought-provoking cross-tabular analyses, such as full-time vs. part-time employees, overall satisfaction broken down by commuting distance and at-home agents, size of center and geographical location. It also includes a sampling of open-ended responses, providing context and depth to the statistical results, and indicating what agents really feel about their colleagues and employers. The report includes expert interpretation from BenchmarkPortal specialists that will provide “take-aways” that you can implement to improve the morale and the performance of your center. Our glossary of terms and definitions. Average Hourly Wage for Front-Line Agents. Average Hourly Starting Wage for Front-Line Agents.